MONTREAL, July 10, 2018 - Today Chronogolf is announcing that it has successfully raised $2 Million in its third round of funding. In 2018, the company generated record sales and was successful in expanding into the US, Canada, and Europe. To date, the company has taken on more than 500 customers (pro.chronogolf.com), including multi-course operators in Missouri, Illinois, Texas, Florida, Quebec, Ontario, and Ireland. 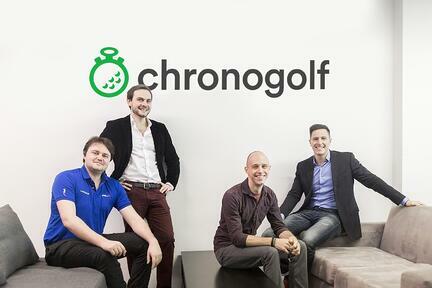 More than 1 million golfers have booked over 14 million golf rounds on the Chronogolf tee time marketplace. The company has grown internally as well. This year, the team scaled to 40 employees including recent additions to its sales and product development team. The company will now add sales offices in Phoenix, Arizona and Richmond, Virginia alongside its current sales offices in Lyon and Vancouver. At its headquarters in Montreal, the company will heavily invest in technology by doubling its engineering team to speed up its mission of driving innovation in the golf industry. Of the recent round of funding, Co-CEO and Co-Founder JD St Martin commented: "This third round of financing allows Chronogolf to continue to execute on our mission to be the golf operators' most trusted technology partner. Chronogolf is leading our industry's digital transformation by empowering golf course operators with best of breed technology that makes their business more efficient, their life easier and their customers happier." Currently, the company partners with Lightspeed as its supplier of golf POS software. The cloud-based POS system features sophisticated inventory management, purchase order processing, and integrates payment processing and accounting seamlessly with the tee sheet. To date Lightspeed serves over 50,000 customers world wide. Chronogolf tee sheet software also integrates with a wide variety of partners. On building its product and vision for the future, Co-CEO and Co-Founder Guillaume Jacquet stated: "We plan to further develop robust mobile app capabilities, best-of-breed integrations, marketing and sales automation tools, and features designed specifically for multi-course operators." 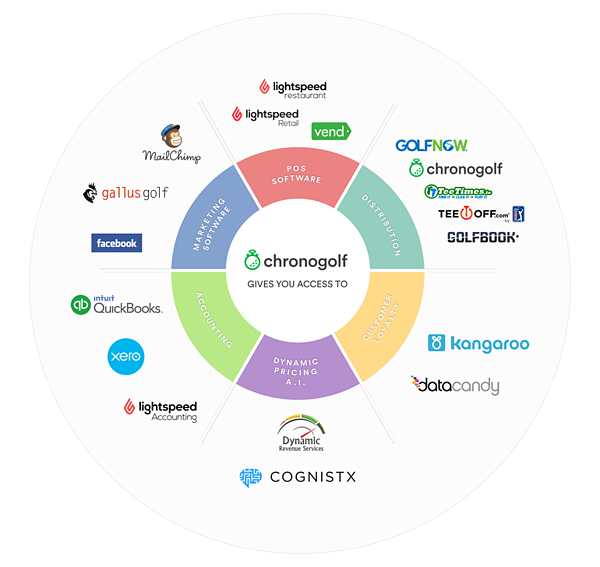 For the next year, Chronogolf looks forward to continuing its expansion into the US and European markets and will continue building its cloud-based software around its customer focused, best-of-breed strategy.